This is the message God gave Michael Boldea through a dream while he was in North Carolina. Michael asked for a confirmation of this message and asked God simply to give him the dream again if it was from him. The next night he had the same dream. Upon my return to the United States in late August, I had a very vivid and troubling dream. 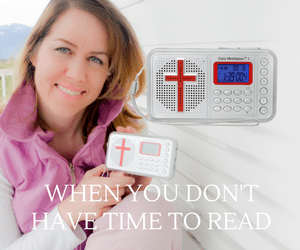 I shared it with the staff here in Wisconsin, and with a few other brothers, but continued to pray and seek direction from God as to whether or not I should include it in the newsletter. 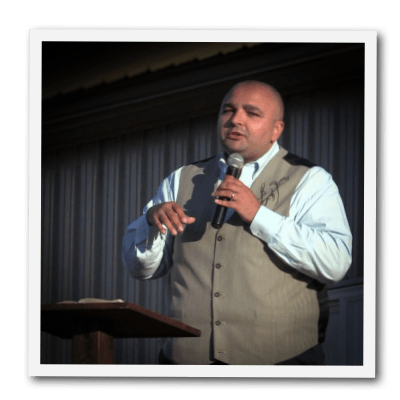 At the staff’s urging, and feeling a release from the Lord, I have included this dream in this issue of the newsletter. I dreamt I was walking through a sparsely wooded forest, and suddenly my attention was drawn to an eagle flying high above the tree line. It was a beautiful sight to behold as the eagle rode the thermals, flying in slow lazy arks across the blue sky. I began to quicken my pace, and keep up with the eagle’s flight, all the while keeping an eye on it, noticing that it was slowly descending toward the earth. I followed it for a long time, its descend not being sudden but very gradual. Finally I came upon a small clearing, where there were no trees, just some bushes on the edges of the green grass. The eagle landed in the clearing, and began to look around not seeming to notice me. I was silent as I watched the eagle, and was beginning to grow somewhat impatient, when suddenly, it seemed out of nowhere, a brown snake lunged at the eagle, and bit down on its left wing. The snake’s strike was very quick and very precise. The eagle reacted without delay, clawing and pecking at the snake cutting deep wounds in its underbelly, trying to defend itself and ward off the serpent. Just as it seemed the eagle was winning the battle, and the serpent was retreating, another serpent appeared, red and black diagonal stripes covering its body, and without hesitation struck out at the eagle’s right wing, biting down, and refusing to release. After a momentary tug of war the serpent tore off flesh and feathers, leaving a large wound on the eagle’s right wing. The second bite was much worse than the first, and for an instant the eagle was stunned. Then a serpent much larger than the previous two, made up of many colors, slithered toward the eagle, opened its jaws, and lunged, taking the whole of the eagle’s head in its mouth before biting down. The serpents retreated and the man who had been standing beside me, walked to the eagle, knelt down, picked it up, and held it in his cupped hands. The look of grief on his face was beyond any I have seen in my life. Just seeing the look on the man’s face broke your heart. I watched for a long time as the man held the eagle in the palms of his hands, the pained expression never leaving his features. I was too stunned to speak, or ask any questions, what I had seen having seemed so real. The feeling followed me into my waking hours as well, and each time I closed my eyes I saw the entire scene play before my eyes throughout the day. One thing that I feel I need to share with you is that the second bite seemed to come from an unexpected place. Although I have my own opinion concerning this, I choose to keep it to myself, because expounding on personal opinion is a dangerous thing when it comes to things that God reveals. I was hesitant in sharing this dream, because I know some will perceive it as a reason to fear. It is not a reason to fear, but a reason to be stirred, and emboldened for the kingdom of God. The reality, is that these are the times we are living in, and I for one am thankful to God for his forewarnings, knowing that His children will never be unaware of what the future holds. All I can do is urge you to be watchful, and diligent in your prayers to the Father. This nation, today, is more in need of prayer on its behalf than at any time in its history. It is the prayers of His children that compels God to relent, and tarry. Stand in the gap, you are precious in the eyes of God, and He hears your heartfelt supplications. 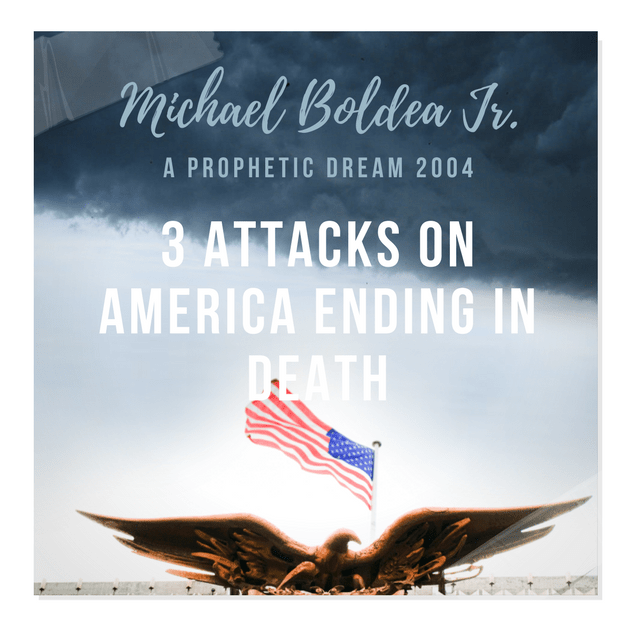 Previous articleThe Same Warning Prophetic Dream Given To 3 Brothers On The Same Night – A Crippling Earthquake Coming For San Francisco 2006 Michael Boldea Jr.